Attr. 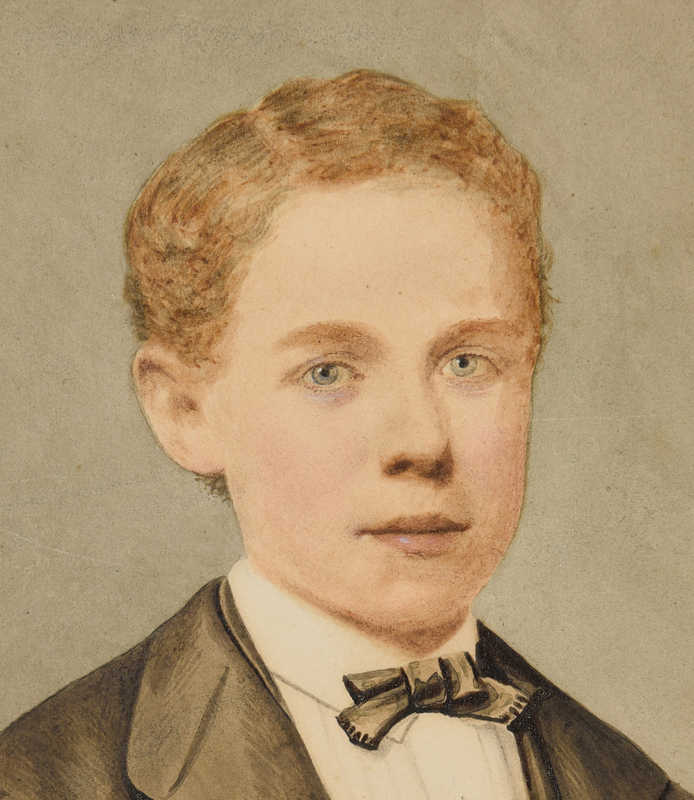 John Wood Dodge (American, 1807-1893) watercolor on paper oval half length portrait of a boy, about twelve years of age, with curly sandy hair and blue eyes, wearing a black suit and bow tie with white shirt. 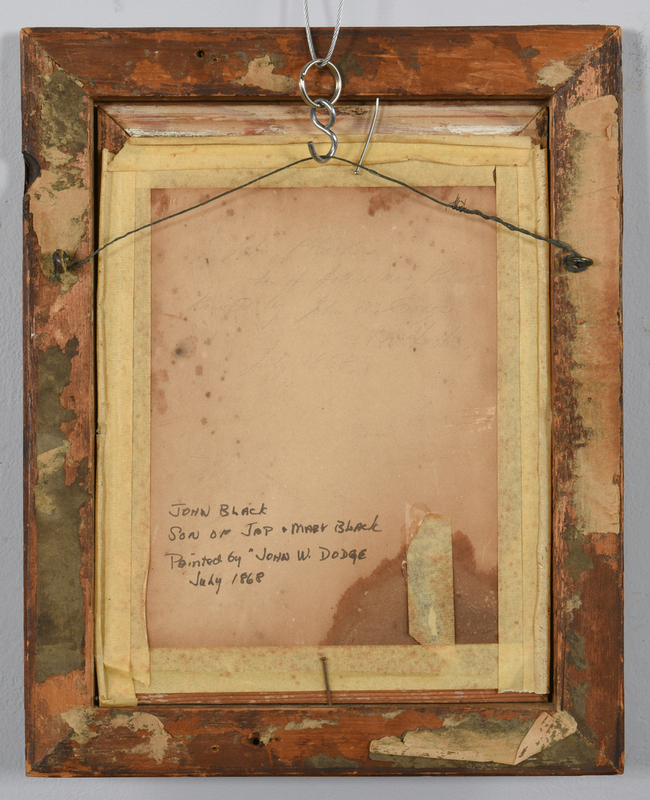 Original birdseye maple frame with gilt liner. 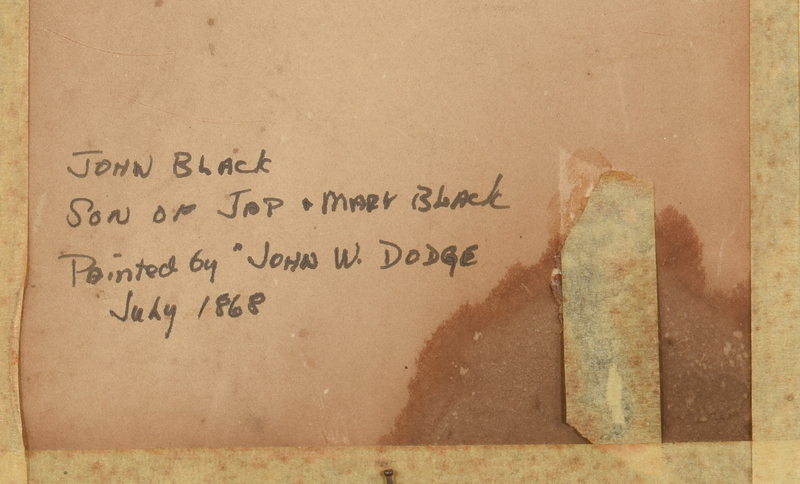 Pencil and later pen inscription en verso, "John Black, son of Jas. and Mary Black painted by John W. Dodge July 1868 New York. 8 1/2" x 6 1/2", oval image 8" x 6"; frame 12" x 10". 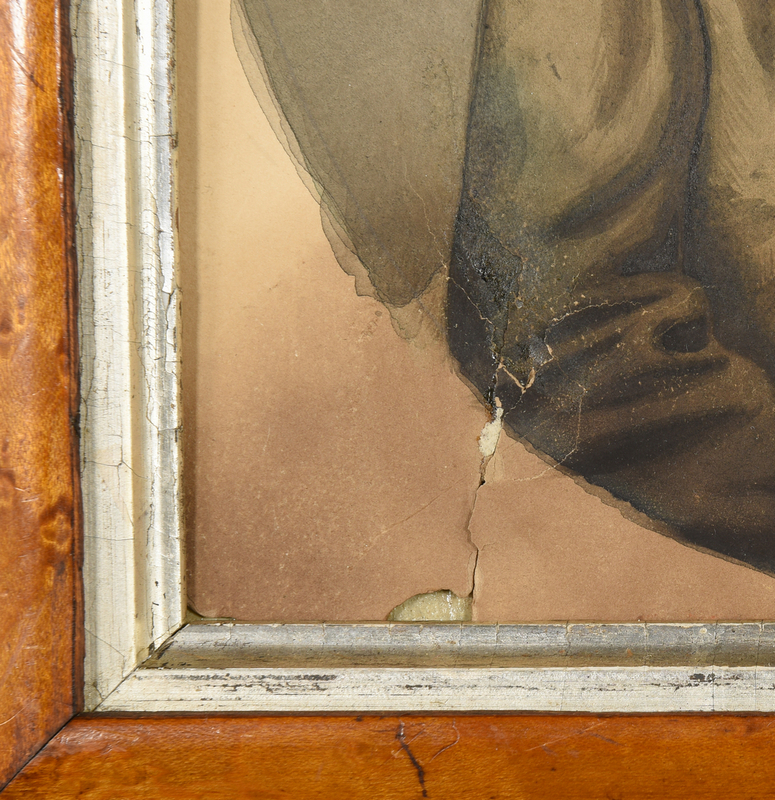 Biography (courtesy Who Was Who in American Art by Peter Falk): Originally from New York, John Wood Dodge worked as a portrait painter in Nashville from 1840-1861, painting the likenesses of many of the city's most prominent and wealthy citizens. Andrew Jackson and Henry Clay were among his portrait sitters. Among the places he traveled were Central Kentucky and New Orleans, Louisiana, where he exhibited in the Armory Hall a series of dioramas including View of New York City and Interior of St. Peter's Church of Rome. 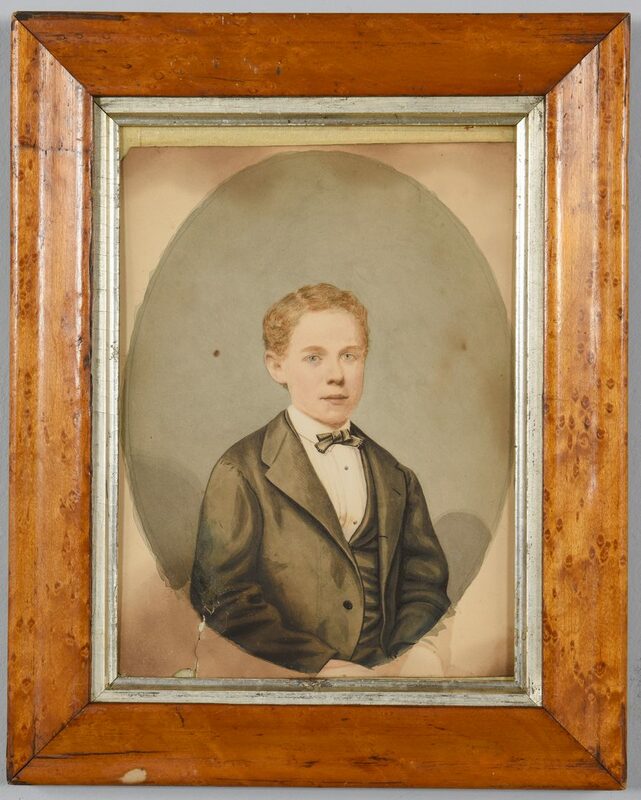 In 1849, he moved to Huntsville, Alabama, but by 1862 he was back in New York City, where he became a member of the National Academy and remained for many years. 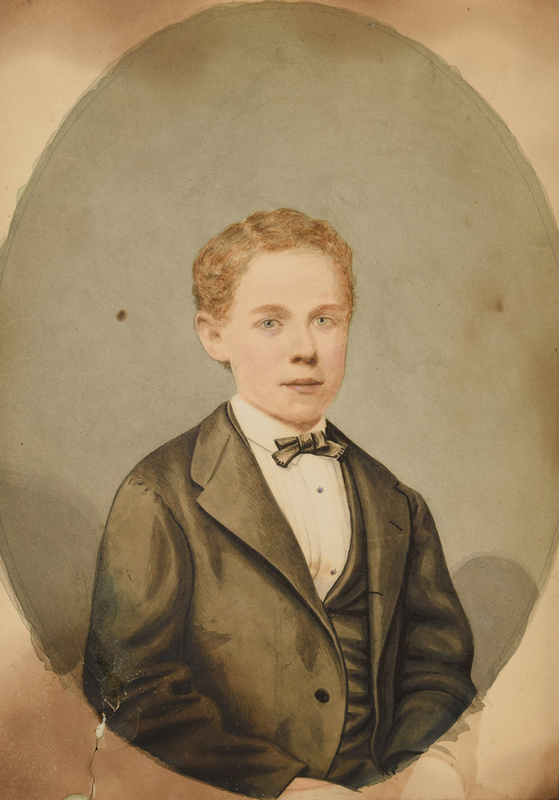 By 1889 he had returned to Pomona, Tennessee where he remained until his death. CONDITION: Staining to lower third and upper edge of paper, two spots of staining or foxing in background near center, 1 1/2" tear lower left edge. Masking tape around perimeter of back. Lacking mat.